Anand Mehrotra is a visionary master teacher, community and thought leader, and conscious entrepreneur. Born and raised in Rishikesh, India – the birthplace of yoga – Anand combines the ancient wisdom of his upbringing with a lighthearted rebelliousness to support the transcendence of the individual and the collective. Anand is the founder and master teacher of Sattva Yoga, a radically holistic, ever-evolving, transformational practice. Anand teaches around the world giving wisdom talks, offering satsangs and meditations, providing Vedic astrology readings, leading Sattva Yoga journeys, and guiding students through profound transformations in wisdom immersions, retreats, and trainings. Anand is the founder of Sattva Retreat, a premiere wellness destination situated in the Himalayas of Rishikesh, India and Sattva Yoga Academy for holistic learning. He is also the founder of Sattva Connect. Anand leads two non-profits, The Khushi Charitable Society and Sattva Foundation. He has launched several businesses based on sustainable practices and supporting the communities in which they participate. Anand is featured in the award-winning documentary, The Highest Pass, based on his teachings. He has also been featured in many international publications. Anand Mehrotra, is a rebel and his teachings are radical, they teach how to break the limits of ones mind to access the freedom and ecstasy of life. He was born in Rishikesh, one of the most sacred towns in India, on a full moon night and grew up on the lap of his Guru, which allowed him to live and experience the yogic life early on. He has lived in ashrams, and meditated in caves throughout the Himalayas, he has studied the ancient tradition of yoga and Vedic philosophy with many gurus and teachers since a very young age. His brilliant intelligence and curiosity for the nature of reality has inspired him for years to move throughout India on a quest to learn the most powerful and authentic practices, studying with mystics and learning the sacred and secret rituals and traditions. At the age of 22 he had his first Satori experience, also called Samadhi or experience of unity consciousness, which shifted the course of his life. From that moment, he began traveling the world to teach and share the realizations he had with others who are seeking evolution. Anand Mehrotra’s teachings are extraordinary and innovative, he comes from the most pure ancient lineage background of teachings but he interprets them in a unique and modern expression sharing them in a language accessible to the age we are living. He is a visionary and change maker. His teachings today, after more than 15 years of sharing, have arrived to many people in the world, including Hollywood celebrities, politicians, CEO’s of international companies, and world leaders. He is now focusing on creating a global community of yogis and teachers of Sattva Yoga, an extraordinary transformative and life changing practice which he founded. Sattva means purity in Sanskrit. Sattva Yoga is a holistic, dynamic, all inclusive, expansive and ever-evolving practice that combines asana, pranayama, meditation, kriya and wisdom. The intention for Sattva Yoga is to give you a journey beyond the time bound self/ego and enter the space of transcendence. Each class is specially woven together through kriya, hatha, kundalini, etc to allow for the individual to create a pure, divine experience for oneself. Sattva Yoga inspires students to experience freedom, radical aliveness and offers students more than just a physical practice, it is an invitation to the Self. Sattva Yoga is about going beyond the body/mind centered consciousness, the mundane ways of being and journeying into the most authentic Self. We aspire to connect to the divine, practice like master’s, rise above a life driven by our emotions and truly become a master of one’s own energy. Sattva Yoga is non-competitive. We practice self-compassion, non-judgement, and ease while finding our own edge and breathe. The desire is to allow your Sattva Journey to be of transformation and freedom. Anand teaches around the world giving wisdom talks, offering satsangs and meditations, providing Jyotish (Vedic astrology) readings, leading Sattva Yoga journeys, and guiding students through profound transformations in wisdom immersions, retreats, and trainings. Anand is the founder of Sattva Retreat, a premiere wellness destination situated in the Himalayas of Rishikesh, India and Sattva Yoga Academy for holistic learning. He is also the founder of Sattva Connect. Anand leads two non-profits, The Khushi Charitable Society and Sattva Foundation. He has launched several businesses based on sustainable practices and supporting the communities in which they participate. 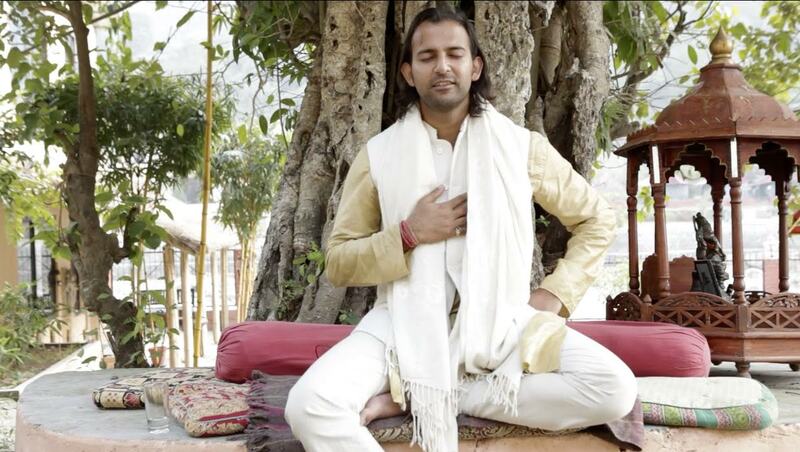 Anand is featured in the award-winning documentary, The Highest Pass, based on his teachings. He has also been featured in many international publications. Vedic astrology “Jyotish ” is a profound and mathematically sophisticated wisdom tradition that originated in India thousands of years ago. Jyotish is the science of Light, often called the Eye of the Veda. Jyotish helps shed light on the movement of self through Karma and how to transcend where you are and get to where you are not. Drawing on his deep knowledge of astronomy, Vedic philosophy and source wisdom, Anand is able make observations about the tendencies of a person’s life, including the influences of the past, the possibilities of the present and the path moving forward from Karma to Dharma.